Thanks to modern technology, there are a number of cell phone accessories that work with your hearing aids to provide a more personal and fluid experience. 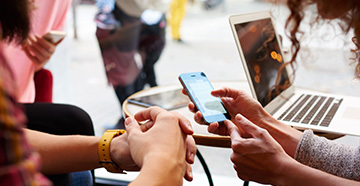 There are several different ways to connect hearing aids to cell phones through the use of Bluetooth technology. Many cell phones can be used with Bluetooth-enabled devices. Hearing aid accessories that provide a hands-free option may also be helpful. 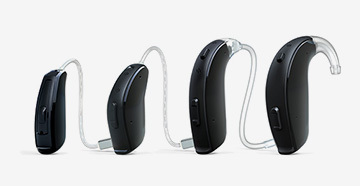 Bluetooth technology enables your hearing aids to be connected to a variety of different electronics, like your cell phone. Through a setting on your hearing aid, you can be linked to different technologies around you, which allows you to adjust volume settings personally with your devices. HAC cell phone accessories are beneficial to hearing aid users for several reasons. They put distance between the hearing aid and the cell phone, which can cut down on any buzzing or feedback, as well as decrease any interference between the two devices. Some HAC accessories can give you hands-free cell phone usage, which is especially important if you plan on using your cell phone while driving. You may also be able to use the speakerphone function on some devices if you use the microphone mode on your hearing aid. All major cell phone manufacturers are now required to make HAC cell phones available to hearing aid users and many also have HAC cell phone accessories available as well. 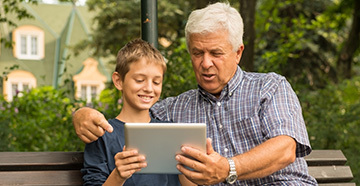 It's a good idea to talk with your cell phone provider to determine if the operating system works with their hearing aids. Additionally, talk with your hearing care provider to determine if Bluetooth can be utilized with your particular phone. Trying the phone with the device will give you a good idea of how well the accessory will work for you. Keep in mind that some phones and devices may work differently once you leave the store, so it is also a good idea to find out about any money-back or satisfaction guarantees.